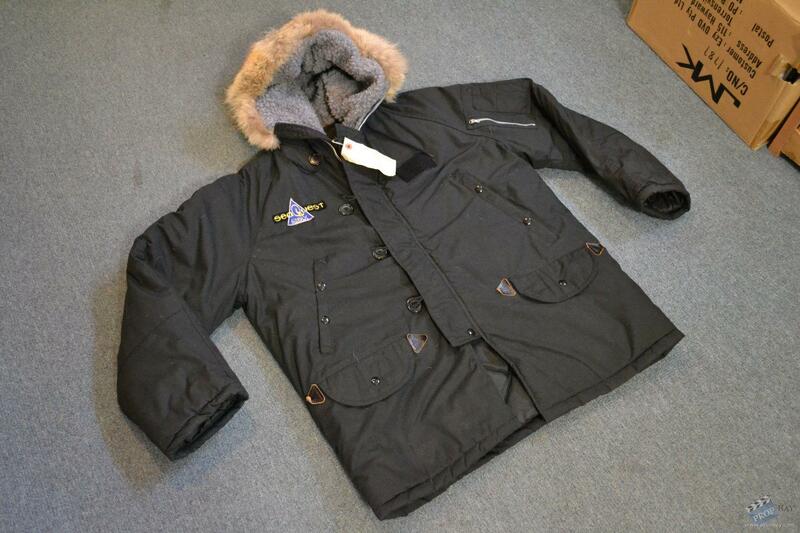 This military grade arctic snow jacket comes with a very thick inner lining as well as a real animal fury lined hoodie and is manufactured by Corinth Co. The jacket has two embroidered patches included on it. A standard Seaquest DSV crew patch on the front as well as a large 9" UEO patch which is located on the back of the jacket. 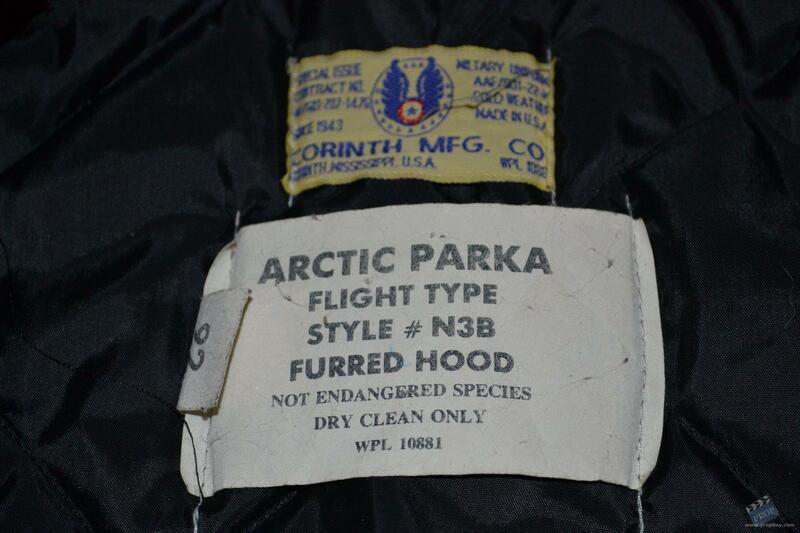 The jacket is labelled as a Arctic Parka Flight Type #N3B and is a size 92. 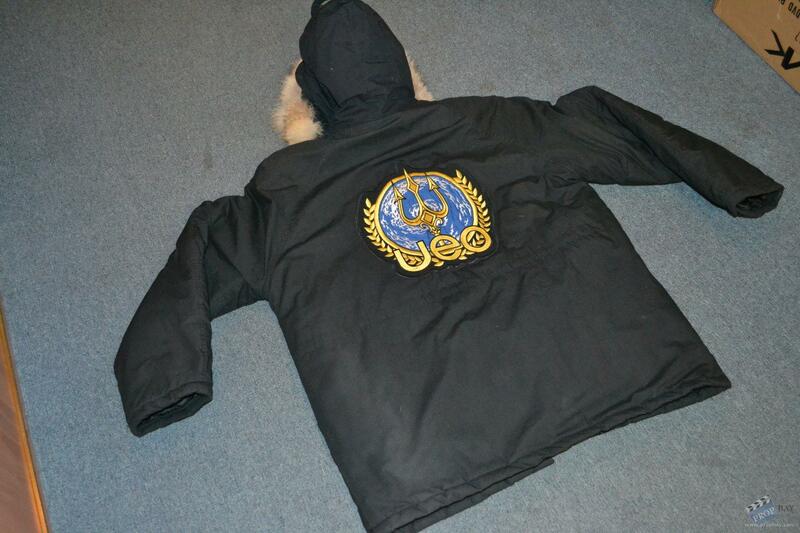 When any Seaquest crew member enters a icy snow environment, these jackets would have been issued, to protect the wearer from extremely cold weather conditions found in those arctic like environments. These jackets were used in one episode from the 1st and 3rd seasons of the show. In the 1st season episode title "Games", the Seaquest is suddenly taken over by a war criminal named Dr Rubin Zeller who was trying to launch nuclear missiles from the Seaquest to strike at UEO Headquarters. 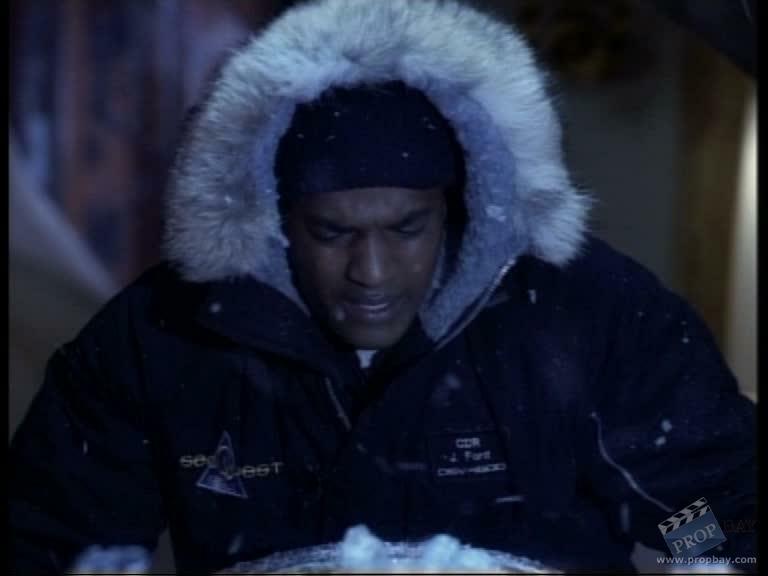 In an attempt to slow Dr Zeller down from moving through the ship, Captain Bridger and the Seaquest crew, change the life support systems to extremely cold conditions. 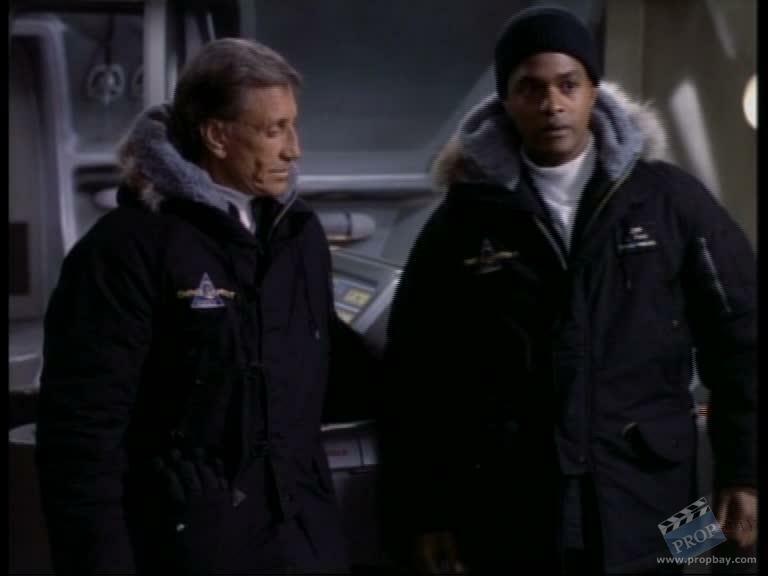 To protect the crew from the extremely cold temperatures all of the military personal aboard the Seaquest were wearing one of these jackets. 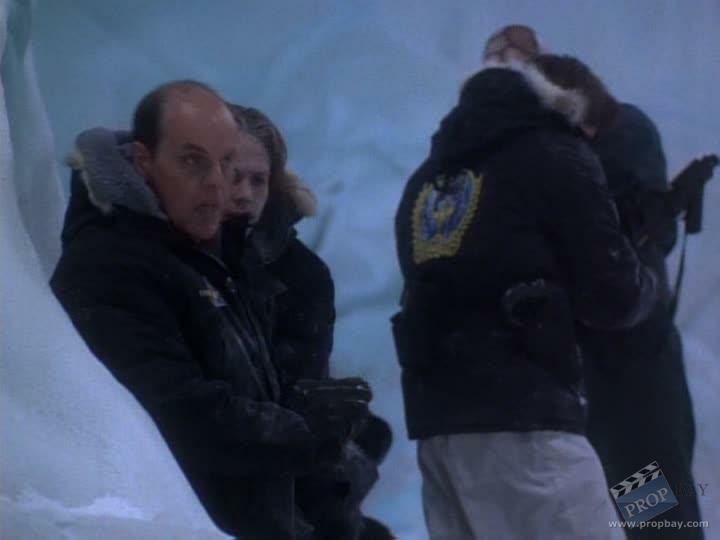 In the 3rd season episode titled "In The Company Of Ice and Profit" Captain Hudson and a small shore party from Seaquest, investigate a huge iceberg that has drifted into the Arabian Sea which the Seaquest had been ordered to destroy. The shore party soon realise the iceberg is habited by a large group of Macronesia refugees who were purposely put there by Larry Denon of Denon International who is trying to prevent the Seaquest from foiling a plan to corner the world's first fresh water market from the melting of the this iceberg. Added: 12-10-2013 - Viewed: 1981 times.